Three years ago, the city council of Raleigh, North Carolina passed a measure that was unpopular with landlords. It required all rental property owners to pay to register their properties with the city, and to submit to routine property inspections to uncover building code violations. While safety was the stated focus of the prograrm, there was no corresponding rule requiring homeowners do the same. Since that time, a number of cities around the country have passed similar ordinances, requiring recurring registration fees and frequent and costly safety inspections for rental properties. Now, North Carolina State Senator Neal Hunt has introduced a bill that would severely limit a city’s ability to charge registration fees, or require routine inspections on rental properties. The law would also eliminate the double standard of requiring only rental property owners to undergo inspections. 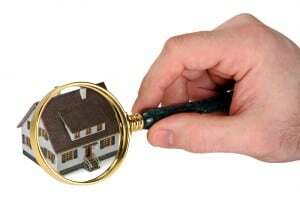 The bill is called An Act Requiring Counties and Cities to Have Reasonable Cause Before Inspecting Residential Buildings or Structures. After two amendments, the measure now provides that a city’s inspection department may make periodic inspections for unsafe, unsanitary, or otherwise hazardous and unlawful conditions in buildings or structures within its territorial jurisdiction, but only when there is reasonable cause to believe that unsafe, unsanitary, or otherwise hazardous or unlawful conditions may exist in a residential building or structure. The term ‘reasonable cause’ means the landlord or owner has a history of more than two verified violations of the housing ordinances or codes within a 12-month period; there has been a complaint that substandard conditions exist within the building or there has been a request that the building be inspected; the inspection department has actual knowledge of an unsafe condition within the building; or, violations of the local ordinances or codes are visible from the outside of the property. In conducting inspections authorized under this section, an inspection department will not be allowed to discriminate between single-family and multifamily buildings. If a local government decides to target a geographic area for inspections, the bill would prohibit discrimination in its selection or areas or properties to be targeted and must include a plan to address the ability of low-income residential property owners to comply with minimum housing code standards. Additionally, the bill prohibits a local government from requiring any owner or manager of rental property to obtain any permit or permission from the county to lease or rent residential real property; require that an owner or manager of residential rental property enroll or participate in any governmental program as a condition of obtaining a certificate of occupancy; or, levy a special fee or tax on residential rental property that is not also levied against other commercial and residential properties except that the county may levy a fee for rental property registration on those properties which have been found in violation of local ordinances within the previous 12 months. Any fees charged can only cover the cost of operating a residential registration program and shall not be used to supplant revenue in other areas. The bill is proceeding through the state’s General Assembly and is currently in review in the state senate’s finance committee. Raleigh city council has raised objections, indicating that it needs the landlord registry to keep tabs on rental owners to police overcrowding, loud parties, and untidy lawns. Senator Hunt is a former Raleigh city council member and chaired the city’s planning board.